I come from a family of gardeners. My parents, aunt and grandmother all had lovely gardens. It was only when I lived for the first time in a city flat while at the Glasgow School of Art that I realised how much I missed gardens once deprived of one. Fortunately my flat was only a few hundred yards from the Glasgow Botanical Gardens so I still had my plant fix from time to time. In the late 1970’s, garden design was not yet a popular career. There was landscape architecture and amenity horticulture or horticultural diplomas, none of which appealed to me, so I studied Product Design instead, graduating in 1981. Fast forward 15 years to living in my first house in Somerset. Having excavated and built a garden from scratch behind our bungalow, my husband and I opened our garden for the National Garden Scheme from 1996 to 2000 which was enormous fun. Another husband and 3 gardens later, I am still in South Somerset. I moved here 31 years ago. It’s one of the best places in the world to have a garden! In 1999 I entered and won the first BBC Gardener of the Year competition, and the following year the queue on the garden Open Day went round the block. As clients were now demanding my services I set up Katherine Crouch Garden Design in early 2000 and have since been designing gardens all over the South West. 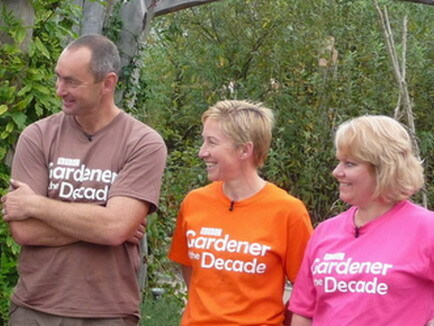 Proving it wasn’t just a fluke the first time round, I won BBC Gardener of the Decade in 2008 and the fun of developing gardens continues. 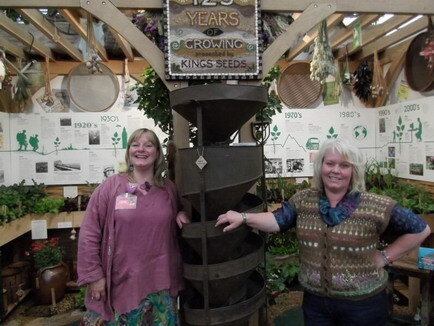 I also won a Gold medal at Chelsea Flower Show for designing a display for Kings Seeds 125th anniversary.